Corsair, a leader in parts and components for PCs and laptops, announced the release of their last PSU (Power Supply Unit), the AX1600i. This 1600W power supply is mainly targeting gamers PCs. 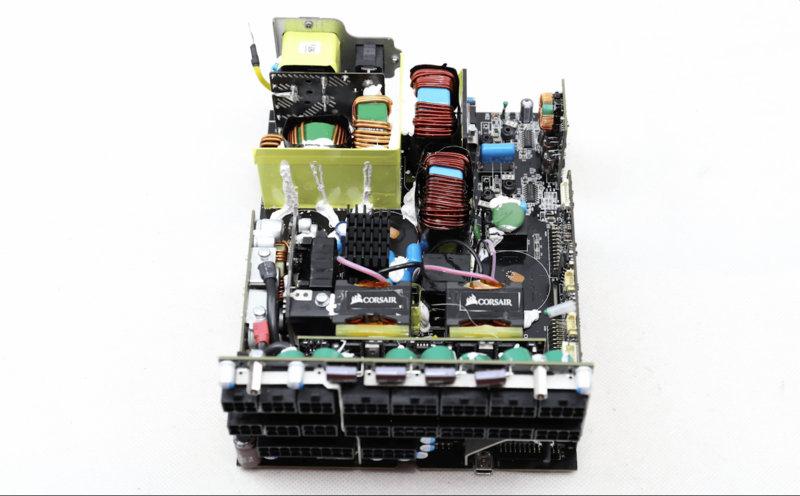 The 1.6kW power is large enough to supply a Desktop PC with a large microprocessor and several energy consuming graphic cards. The AX1600i uses Transphorm’s TPH3205WS 650V FETs in a bridgeless totem-pole power factor correction (PFC) topology. 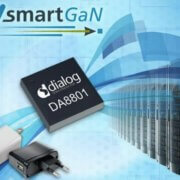 The boost PFC stage is then very efficient and taking the most of GaN technology. 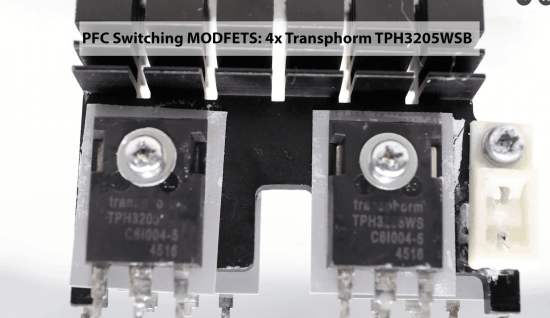 They replace Silicon SuperJunction MOSFETs that were used in previous Corsair power supplies topologies in a 2-phased interleaved PFC topology, less efficient. The power supply is now placed at a more than 80 PLUS Titanium rating. Corsair choose Transphorm as it seems to be the best options for volume production and matching the characteristics and topology they were aiming at. 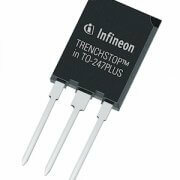 They come in TO247 package, similarly to most SuperJunction MOSFETs. 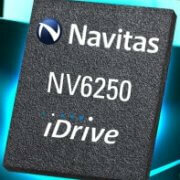 The semiconductor start-up has been fully involved in the design and test process to reach the results presented now. The AX1600i is already available and priced at USD499. 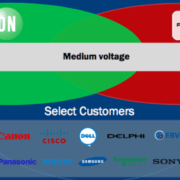 This news is totally in line with PntPower market and technology analysis and publications: The best fitting market segment for GaN today is within power supplies. We expected to see more laptop power supplies and desktop power supplies, but only the power range changes.